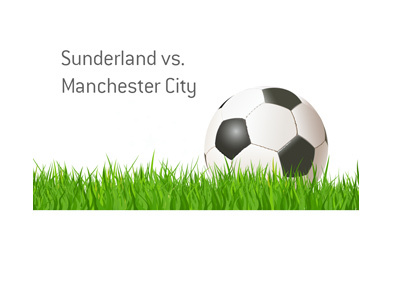 A mismatch (at least on paper) is set to take place on Sunday, as Manchester City will be travelling to take on Sunderland. This game is of the utmost importance for both teams, though for two completely separate reasons. Man City is currently in 4th place in the English Premier League as of this moment, though they have games in hand on all of the teams that they are chasing (Chelsea, Tottenham, Liverpool). There are six teams that could legitimately have a chance of earning a Champions League spot for next year, and Man City needs to make sure that they cash in a full three points on Sunday against an outmatched Sunderland club. Sunderland, on the other hand, is dead last in the table with a total of 19 points. Sunderland desperately needs to pull off a miracle win on Sunday, or else they could find themselves virtually guaranteed of relegation for next season. With all of the money that comes from playing in the English Premier League, this would obviously be a traumatic setback for the club. Man City has been sublime as of late, as they are rounding into form heading into the most crucial stretch of the season. Sunderland, on the other hand, has been as bad as you would expect from a club that is last in the league. With Manchester City playing for a Champions League spot, they will almost surely come out with a full head of steam on Sunday. Sunderland needs to hold down the fort in the first 10-20 minutes of the game and hope to capitalize on any mistakes that Man City might make. Sunderland has been absolutely terrible at home so far this season, as they have managed just 12 points over the course of 13 home points. This is the second worst total in the league so far. Even worse news for Sunderland is that Manchester City has been sublime on the road this season, as they have mustered a total of 27 points over a total of 13 road games. This is tied for the best mark in the league. Man City has been prolific on the road this season, notching a total of 28 goals in 13 away games. Sunderland, on the other hand, has managed just 14 home goals, which helps to account for their terrible home record.